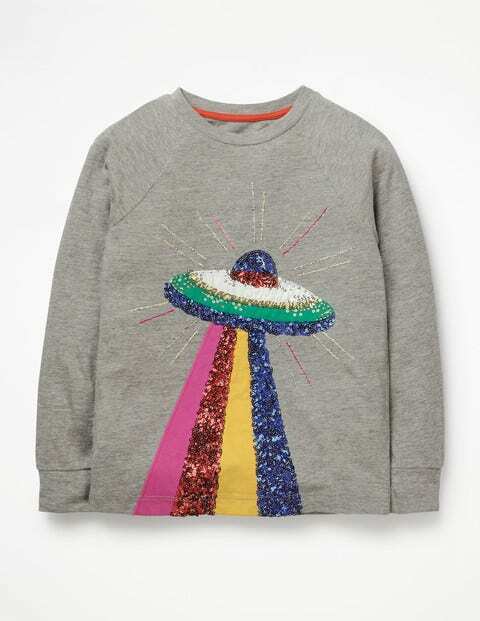 Get ready for intergalactic adventures in this colour-and-sequin-packed long-sleeved T-shirt. It's so bright and glittery it can (almost) be seen from space. Plus the jersey is cosy enough to keep Mini astronauts warm in other galaxies. It'll soon become a firm favourite to throw on just before blast off.